A framework for understanding creativity and the arts… and how the arts should be funded. Economies of Life argues cogently that there is a 'default assumption that there is only one economy in our lives - the economy which is the one based on money. Our position is that there are many economies, of which the one based on money is just one, and that they all contribute to the health and sustainability of our shared lives'. To extend this thinking, money is the currency of trade, and art is the currency of experience. 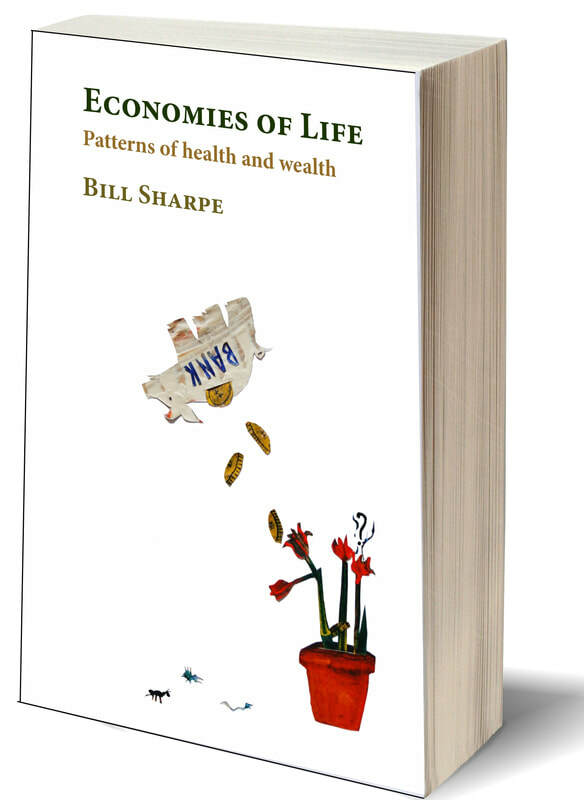 In his collection of five essays, Bill Sharpe uses the principles of ecological thinking to redefine our hitherto narrow understanding of terms like economy and value. The essays consider - with poetic sensitivity and intellectual clarity - what keeps each economy healthy, what sort of wealth each one accumulates and what sort of policies are most supportive of innovation and sustainability in a changing world. The insights resulting from Economies of Life offer an ecologically informed and dynamic framework for understanding creativity, the arts and how the arts should be funded into the future. Economies of Life is beautifully illustrated by artist and IFF member Jennifer Williams. Policy advisers, academics and anyone with an interest in arts and society and arts funding.